CHICAGO—(ENEWSPF)—August 31, 2017. 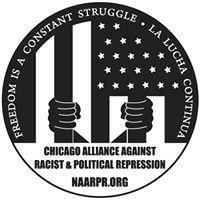 Today the Chicago Alliance Against Racist and Political Repression and Black Lives Matter Chicago issued a joint statement denouncing the joint appearance by Illinois Attorney General Lisa Madigan, Chicago Mayor Rahm, Emanuel, and Chicago Police Superintendent Eddie Johnson Tuesday, announcing that they will cooperate in suing the City in Federal Court with the goal of reaching a consent decree and court appointed monitor over the Police Department. 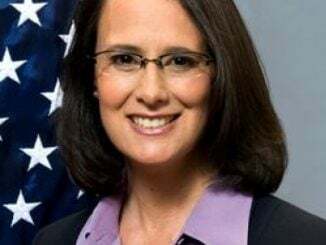 “These announcements by A.G. Lisa Madigan, Mayor Rahm Emanuel and Police Superintendent Eddie Johnson are nothing more than the latest puff of smoke emitted by the powers that run Chicago to cover up on-going police crimes. “The people of the city will not be fooled by this latest ploy. People are demanding real reform and the creation of an all elected civilian police accountability council (CPAC) to replace the current Mayor-appointed rubber stamp Police Board, Independent Police Review Authority (IPRA), and the Civilian Office of Police Accountability (COPA). People are demanding that the City Council pass the legislation sponsored by Ald. Carlos Ramirez-Rosa and 8 other Council members creating an all elected Civilian Police Accountability Council (CPAC). “First, there is no way any court ordered monitor of an agreement between the city of Chicago and the State Attorney General can end the rampant police crimes of murder, torture, racial profiling, and collusion with criminal elements, under the best conditions. This is like putting a mouse in charge of monitoring a pack of wolves. “Second, aside from public declarations that implementing the proposals of the January 2017 report of the Obama Justice Department will be the goal of the court proceedings, there is absolutely nothing specific so far in the position of Atty. Gen. Madigan, the Mayor or CPD Chief Johnson. “We have many experiences with so-called consent decrees between cities and police departments, even under the Obama Justice Department. They did not prevent on-going police crimes, such as the murder of 12 year of Tamir Rice in Cleveland, or the murder of Samuel Dubose in Cincinnati. “Not surprisingly, the Chicago Lodge of the Fraternal Order of Police has joined the charade being staged around this cooperation between the Mayor, the AG, and the CPD Superintendent. FOP President Kevin Graham blasted the suit, saying ‘the police have been so handcuffed from doing their job by the intense anti-police movement in the city, this consent decree will only handcuff the police even further.’ Graham is cynically pleading with the city not to throw the police into the briar patch.